Disney has just announced details for the new Spider-Man attraction coming to both Disneyland Paris and Disney California Adventure. Guests will join their favorite heroes in action through a new organization created for this attraction: WEB or “Worldwide Engineering Brigade.” This organization of course champions classic heroes like Spider-Man, but it also will give Disneyland guests the chance to become a hero themselves. 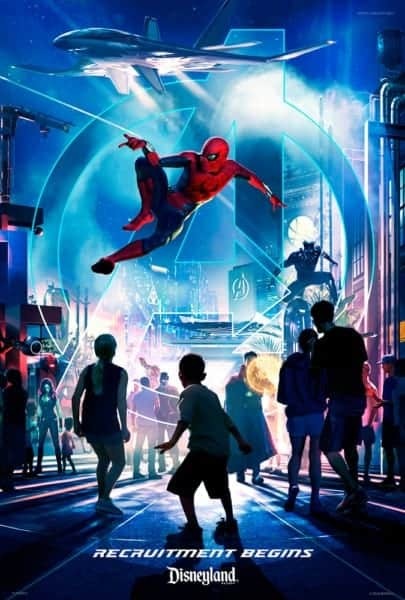 The Spider-Man attraction is going to be a key part of the Marvel Super Heroes Lands coming to Walt Disney Studios Park in Disneyland Paris and Disney California Adventure, and will be just one of the many attractions in these new lands. 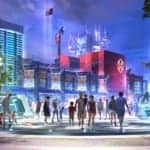 They didn’t give too much detail on this new attraction, but it will use cutting-edge technology with lots of special effects to deliver a fun and interactive ride which will let guests mimic what it’s like to have super powers. And they are promises surprises at every turn. 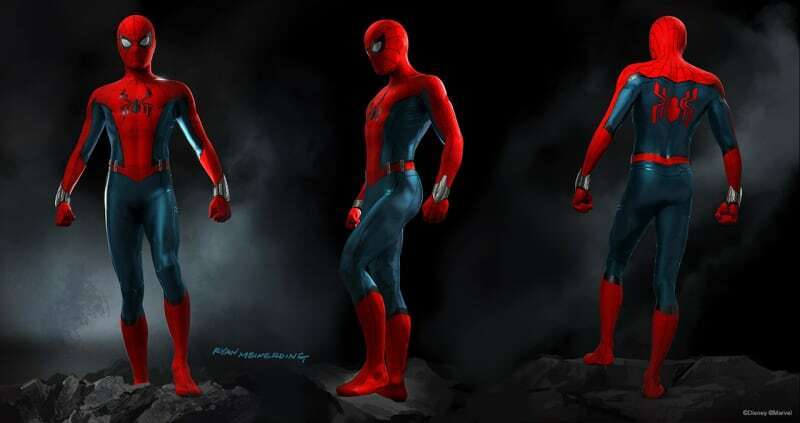 The designer of the suit said that Spider-Man will be swinging through these lands in this new suit which is already on display at Walt Disney Studios Park, and is. 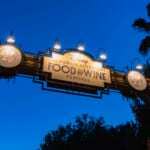 coming soon to Disney California Adventure park. Ryan Meinerding, Head of Visual Development at Marvel Studios worked with Disney Imagineering to create this new design which will be part of the attraction. Disney didn’t get into it too much but you can read our post from a while back where we talked about potential details of the Spider-Man attraction, which includes swinging through the streets on a new technology being developed by Imagineering. Other confirmed attractions so far for the various Marvel Super Heroes Lands are the Ant-Man and the Wasp Nano Blaster ride and an Avengers-themed roller coaster (California Adventure) and an Iron Man-themed roller coaster in Disneyland Paris which is taking the place of the Rock ‘n’ Roller Coaster. Look for this new Spider-Man attraction in Disneyland Paris and Disney California Adventure at a yet to be announced date. Stay tuned at Ziggy Knows Disney for more information as it comes out, we’ll be in keen anticipation! Which new Disney attraction are you most looking forward to? 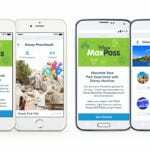 How to Use Disney MaxPass Service at the Disneyland Resort.